Long story short: this isn’t The Satanist 2. What I Loved You At Your Darkest does happen to be is an always polished, sometimes unfocused, work that follows in the footsteps of something enormous. 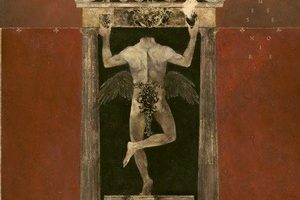 The Satanist was a major piece of work in several ways, least of all as a monument against death, the story of which at this point anybody inclined to metal should be familiar with. Aside from the occasional blasphemy-related legal charge in the band’s native Poland, it is with great fortune no mortal twilights have taken grips on the band in the interim. I Loved You At Your Darkest is instead indicative of a band fighting with the idea of where do we go now? The abyss is a popular trope in the realms of black and death, but few can say they’ve really looked upon it then returned to the ordinary. 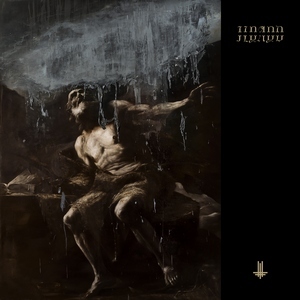 I Loved You At Your Darkest is a mouthful of a title, initially causing somewhat of a stir in that it might indicate a radical departure for the band musically. I’m here to assuage your fears dear reader, that is not the case. Initial single “GOD=DOG” is well-representative of what the band has been doing since the mid aughts: a blackened death rampage with occasional melodic asides. Like opener “Solve”, a children’s choir makes an appearance, a musical choice Nergal seems to have developed a fondness for from his work in Me And That Man, and while I don’t quite share his affinity for it, its limited enough in its application to not make a negative impact on the track. While blasphemous topics are nothing new for the band and while I don’t doubt there’s a more profound origin to it, there is something cringe-worthy in the “GOD=DOG” title. While the band has always won out for substance over style (and it has always pushed style), this is one of those moments where style wins in a poor light. “Wolves Ov Siberia”, another lead up single and previewed extensively live throughout this year, is tight and to the point. “Ecclesia Diabolica Catholica” is the track here that feels most inclined toward The Satanist, constructed in a similarly dramatic fashion and closing on what is ultimately my favorite part of the album: horns atop a fury of a being tearing itself apart. 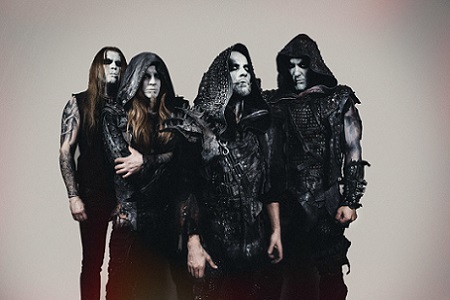 In the extensive pre-release press work, Nergal has talked at length about a more ‘rock influenced’ direction on the songs at play here. That isn’t to say Behemoth is channeling Foo Fighters or buttrock luminaries Breaking Benjamin, but instead employ what could be considered verse-chorus-verse progressions (more than standard, anyway) (check “Sabbath Mater,” for example). The body of work here is nice, all in all. Including the thematically and musically linked bookend tracks, there’s a lot at play here and across its 46 minutes, a lot to absorb. The mention earlier that it sometimes feels unfocused follows a question posed to the band in the wake of The Satanist: what next? The answer seems to have been everywhere. These songs go in a lot of directions and they aren’t always compelling in how they’re sequenced (as songs or as an album experience). “We Are The Next 1000 Years” feels out of place as the penultimate track. An unfortunate side effect from the rock album idea: throw everything on the plate because most of it will take.